Often in music, songs are written as a form of liberation for the writer to get their message out and express their feelings. Many songwriters today use their music to sing about liberation, and the message the song sends may also be liberating for the listener. Jason Mraz is known for trying to share his views with his listeners via his music, and sings what he feels with his creative wordplay. The song “Make It Mine”, written and performed by Jason Mraz, is an inspirational tune with a tone of optimism that tells the story of a motivated person who wants to live life to the fullest. “Make It Mine” begins as the speaker is addressing his listeners, trying to inspire them to wake up and cherish the world around them. He sings, “Wake up everyone, how can you sleep at a time like this? Unless the dreamer is the real you”. Mraz is telling his listeners that they need to wake up and look at the world around them, and realize how beautiful life is. He asks them how they could “sleep” or be ignorant to the fact that life is such a beautiful thing, unless they are a dreamer and prefer to dream than face reality. Mraz continues to inspire his listeners in the next verse, in which he is trying to tell them to live to the fullest. He phrases this piece of advice eloquently, and says, “Listen to your voice, the one that tells you to taste past the tip of your tongue, leap and the next will appear”. By “tasting past the tip of your tongue”, Mraz is referring to living outside of the box and to the fullest. In the next verse, he is speaking to himself about his determination to live his life to the fullest and cherish every moment. He sings, “I don’t wanna wake before the dream is over, I’m gonna make it mine, yes I, I know it”. The “dream” he is speaking of is life, and he doesn’t want to wake from the feeling of contentment before his life is over. In the next verse, Mraz again gives his listeners a view into how he lives his life, and he says, “I keep my life on a heavy rotation”, meaning that he changes things up a lot, and likes to try different things. Next, Mraz cleverly tells his listeners that he wants to make them appreciate life more when he says, “Requesting that it’s lifting you up, up, up and away and over to a table at the Gratitude Café”. He is promoting seizing the day and living optimistically. He furthers his optimism and inspirational lyrics during the next verse when he sings, “And I am finally there, and all the angels they’ll be singing”. Mraz is telling his listeners that he has reached the point of happiness and fulfillment in his life that he has been trying to find, and has been greeted with angels, a sign of the heavens. He says, “I am balancing careful and steady and reveling in energy that everyone’s emitting”, meaning that he is carefully living his life and soaking up everybody’s good energy. He closes saying, “Well I don’t wanna wait no more, oh I wanna celebrate the whole world”, optimistically saying that he wants to cherish his life and life it to the fullest that he can. “Make It Mine” contains many poetic devices that help enhance the listening pleasure of the song. It contains examples of alliteration, such as “taste past the tip of your tongue”, which repeats the consonant T. Another example of alliteration is “make it mine”, which repeats the consonant M. Anaphora is also used in the song, because “make it mine” is repeated consecutively several different times in different spots of the song. This enforces the theme of optimism in the song, and helps get out the speaker’s message. This song is a perfect example of optimism and inspiration within music. 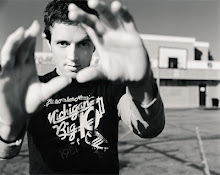 Mraz’s clever wordplay and optimistic views on life are exhibited in this song, and are part of what makes it so inspirational to listeners. The speaker is trying to get out the message to live life to the fullest capacity, and to reach for the stars.